It’s hot. In mid-July, the Portland area hit triple digits for the first time in 2018, and locals and visitors alike are searching for ways to deal with the heat wave. But it’s not just Portland; this summer brought a record-breaking streak of high temperatures to the entire Pacific Northwest, making the outdoors (and any building without air conditioning) practically unbearable. If you find yourself in an unusually hot Portland this summer, don’t worry! The waterfalls and forests of the Columbia River Gorge are the perfect summer escape, but many popular trails (including Punchbowl Falls and Multnomah Falls) are still closed in the aftermath of last year’s devastating Eagle Creek Fire. Luckily, there are still plenty of beautiful places to explore during the reforestation process! These three easy (but rewarding) hikes are the perfect way to get outside (and cool off!) this summer. What’s better than one waterfall? Four waterfalls! The Starvation Creek section of the Historic Highway State Trail provides easy access to four waterfalls, all within one mile. 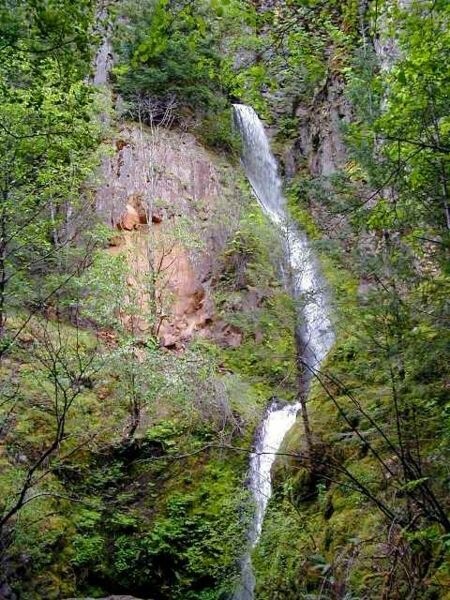 While the name sounds ominous, this short hike is the perfect way to appreciate the beauty of the Columbia Gorge when it’s too hot out to even think about a serious trek. Conveniently located just off of I-84, its low elevation gain and short distance (1.6 miles round trip) make it perfect for all ages and skill levels. It’s also paved and bike-friendly! The stunning Starvation Creek Falls, a two-tiered 190 foot waterfall, is located just a short walk from the trailhead. The picnic area at its base is the perfect spot to have lunch and take in the view. If you’re up for more, the path continues on past Cabin Creek Falls to the unusual, man-made Hole-in-the-Wall Falls – literally a hole drilled by highway crews in 1938 to divert a problematic creek. A quarter-mile further, the trail ends at Lancaster Falls. While the 20-foot lower tier may seem unimpressive at first, the right viewing angle will reveal the towering 250-foot upper tier through the trees. Plus, the gentle spray from the lower tier is the perfect way to cool off before heading back! If you’re short on time but you want to see as much of the Columbia Gorge as possible, this is the hike for you. Multnomah Falls is one of the most iconic Portland hiking destinations, but unfortunately, most of the trail is still closed due to fire recovery efforts. Luckily, the lesser-known Latourell Falls loop is located just a few miles east and offers a similar experience. One of the closest waterfalls to Portland, this hike is perfect for a spontaneous sightseeing trip. Just a few steps from the trailhead are beautiful views of Lower Latourell Falls, which is over 200 feet tall and covered with striking yellow lichen at the base. If you’re up for more, the full loop is a bit more of a workout, but it’s well worth it; you’ll be rewarded with gorgeous views, plenty of shade, and the chance to cool off at the base of Upper Latourell Falls. The trail leading to the upper falls is mostly uphill, but it’s shady and not too steep. As the trail follows Henderson Creek up into a canyon, you’ll feel a noticeable drop in temperature, making the climb much more tolerable. Upon reaching the falls, you can take in the view while basking in the gentle mist that fills the air. The basalt formations surrounding this two-tiered, gracefully curving waterfall create a unique, cave-like overhang – you can even climb behind the falls! The pool at the base is shallow and easily accessible – perfect for dipping your feet before hiking back down. 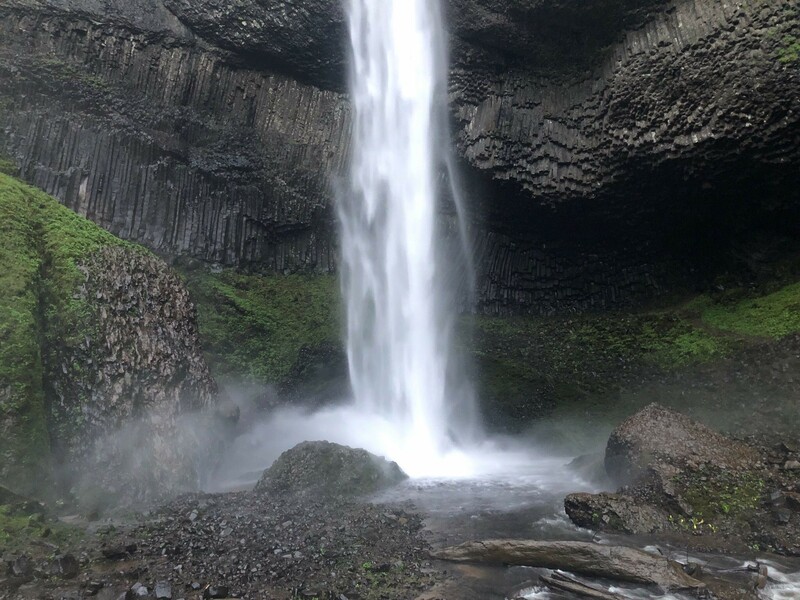 Just a 45-minute drive from downtown Portland, Latourell Falls is the perfect escape from summer in the city. If you’re sick of public pools and crowded rivers, how about taking a dip in a beautiful natural swimming hole? Located right outside the town of Mosier, the natural plunge pool in between the two tiers of Mosier Creek Falls is the perfect spot. A quick quarter-mile hike leads through a historic pioneer cemetery from the 1800’s, which houses some of the area’s first settlers. The top of the falls is a beautiful picnic spot, and if you’re feeling adventurous, you can jump from here into the swimming hole below. The water is at its warmest in July and August, so it should be nice and refreshing – not too icy! 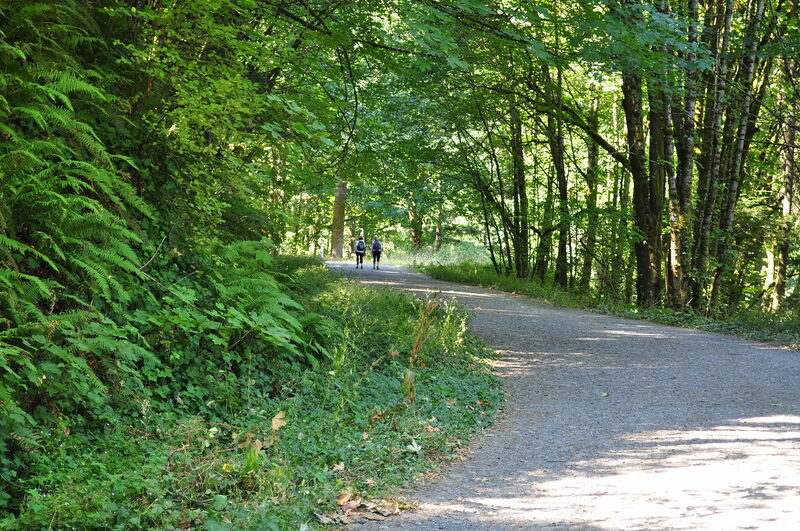 If you’re looking for more of a workout before cooling off underneath the falls, the trail connects from here to the Mosier Plateau loop. This hike is about three miles long and boasts incredible vistas of the Columbia River, but there’s not a lot of shade, so be sure to bring sunscreen! 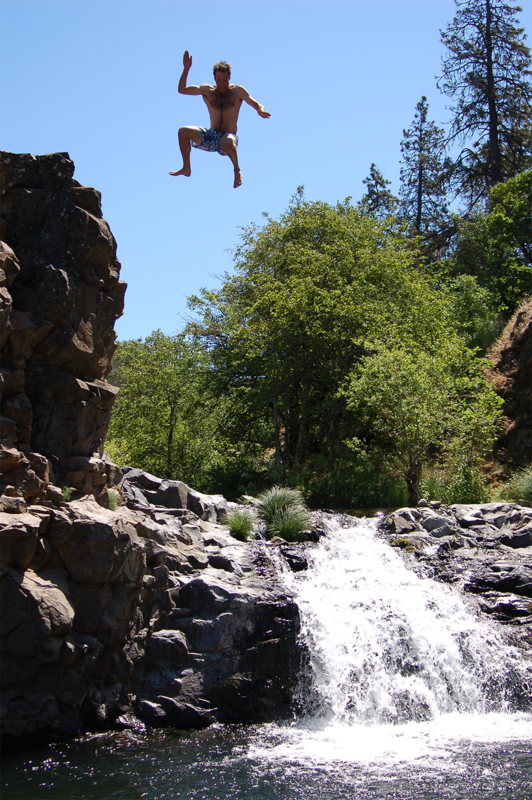 Otherwise, Mosier Creek Swimming Hole is the perfect destination on its own. If you’re dying to get outside but the heat has kept you trapped in front of an industrial-sized fan, these three excursions are perfect for you. They each offer plenty of options for how long and difficult of a hike you want, so you’re free to take on a more challenging climb, or just enjoy a relaxed stroll to a beautiful waterfall. No matter how easy a hike seems, be sure to prepare adequately for the heat – drink plenty of water, wear sunscreen, and pay careful attention to your children and animals! It’s also essential to follow fire safety rules, especially during the dry season, to preserve the beauty of the Columbia Gorge for generations to come. With those things in mind, get out and explore – don’t let the heat wave stop you from experiencing the spectacular beauty of the Pacific Northwest!